Check out this great video from DiMarzio of Andy Timmons talking about his Ibanez AT100 guitar and DiMarzio AT1 humbucker (as well as showing some love for the DiMarzio Cruiser pickup too). CLICK HERE to buy the DiMarzio Cruiser (white) from Musician’s Friend. CLICK HERE to buy the DiMarzio Cruiser (black) from Musician’s Friend. CLICK HERE to buy the DiMarzio AT-1 from Musician’s Friend. Thomann has now updated their website with a photo of the Ibanez AT100CL-SB, the newly reissued Andy Timmons signature guitar which will be out in 2009. The guitar, an exact reissue of the old model right down to the hand-shaped neck, has an alder body, 1-pcs maple neck, maple fretboard, 22 jumbo frets, Wilkonson by Gotoh VSVG bridge, DiMarzio Cruiser neck, DiMarzio Cruiser middle postion and DiMarzio AT1 Custom bridge pickup, cosmo black hardware, 648 mm scale length. CLICK HERE to preorder from Thomann. Thomann has opened up preordering for new 2009 Ibanez guitars, and while not all the photos are on the site yet, you can tell a lot from the specs. They’re talking about these over at the official Ibanez forum and at Jemsite, which is where I first heard about the Thomann links, so I figure it’s ok to re-post the info here now that it’s out there in the public domain. For instance, there’s the PGM401-TFB (pictured). Paul Gilbert Signature, ash body, 5-pcs maple/walnut PGM Prestige neck, rosewood fretboard, 24 medium frets, dot inlays, painted “f-holes”, cosmo black hardware, fixed bridge, DiMarzio Air Classic humbuckers, 648 mm scale lenght, color: Trifade Burst, incl. case and leather strap. CLICK HERE to preorder. And by the way, check out his new CD, United States, with Freddie Nelson. It’s awesome. 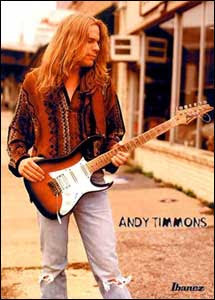 Or how about the return of Andy Timmons to Ibanez’s endorser list? AT100CL-SB, Andy Timmons signature, alder body, 1-pcs maple neck, (AT “Prestige”), maple fretboard, 22 jumbo frets, Wilkonson by Gotoh VSVG bridge, DiMarzio Cruiser neck, DiMarzio Cruiser middle postion and DiMarzio AT1 Custom bridge pickup, cosmo black hardware, 648 mm scale lenght, color: sunburst, incl. Prestige case and leather strap. CLICK HERE to preorder. Oh and who likes maple fretboards? RG2550MZ-GW, basswood body, 5-pcs maple/walnut neck, maple fretboard 24 jumbo frets, shark inlays, Edge Zero tremolo, 1x Di Marzio/IBZ-N neck humbucker 1x Di Marzio/IBZ-S single coil middle position and 1x Di Marzio/IBZ-B bridge humbucker, with mirror pickguard, incl. case, color: galaxy white. CLICK HERE to preorder. RG2570MZ-VBE (pictured), Basswood Body, 24 Jumbo Frets, 5-pc. Maple/Walnut Neck, Maple Fretboard, Prestige Shark Tooth Inlays, Edge Zero Tremolo, 1x Di Marzio/IBZ-N Neck Humbucker 1x Di Marzio/IBZ-S Single Coil Middle and 1x Di MArzio/IBZ-B Bridge Humbucker, 648 mm scale lenght, Color: Vital Blue, incl. Luxus Case and Leather Strap. CLICK HERE to preorder. And let’s not forget the return of the Destroyer series. DTT700-MGS, destroyer-series, mahogany body, 5-pcs. maple/walnut neck-through neck (Wizard II), rosewood fretboard, 22 jumbo frets, AR block inlays, Gibraltar custom bridge, chrome hardware, 2 x Dimarzio D-Activator humbuckers, 648 mm scale lenght, color: metallic gray sunburst , incl. case and strap. CLICK HERE to preorder. The Xiphos series also gets a lower cost little brother: XP300FX-BK, X-Series Xiphos, mahogany body, 3-pcs bolt-on maple, rosewood fretboard, 24 jumbo frets, white dot inlays, fixed bridge, cosmo black hardware, INF3 neck- and INF4 bridge humbucker, 648 mm scale lenght, colour: black, incl. gigag and strap. CLICK HERE to preorder. There’s also a way pimped out version of the Xiphos: XPT700XH-GSF, X-Series Xiphos, mahogany body, 5-piece maple/walnut neck thru-neck, rosewood fretboard, 27 jumbo frets, white sharktooth inlays, Edge III tremolo, black hardware, DiMarzio Air Norton (N) and Activator (B) humbuckers, 648 mm scale lenght, colour: Green Shadow Flat, incl. case & strap. CLICK HERE to preorder. No news yet on the rumoured Paul Gilbert Fireman (reverse Iceman) or new Steve Vai Jem models – let’s wait and see what else is posted on Thomann before NAMM in January. I’m very proud to announce that Ibanez and I have agreed to re-issue the original AT100 on a global scale. As opposed to the original AT100 which was a limited production (we think @ 300 were made), the AT100CL will be available worldwide and will be made to the exact specs as the original including the hand shaped neck!! As you may recall, I announced a while back that I had parted ways with Ibanez and that I just wanted to play whatever I felt like playing. I never had any intention of signing with another guitar company as many had speculated. I did get approached by many companies once word got out (which I was very flattered by) but it was more important to me to remain independent and avoid a reputation as an “endorsement hopper”. What I discovered in this time period is that I do love to play Strats occasionally as well as SG Specials, Teles and Les Pauls but nothing feels like “home” like my original AT100. Tone, feel and expression. It’s truly MY guitar. As I was coming to this realization, Hoshino invited me to play for their 100th Anniversary concert in Japan w/Steve Vai and Paul Gilbert. I was very honored to be asked to do so and I thought it was cool for them to ask considering I wasn’t currently an endorsee. During my visit they approached me with the idea of re-issuing the AT100. It was just perfect timing…it felt “right”! I know there has been a lot of interest in this guitar in the past, so I’m so happy to say that it will finally be available in 2009! The guitar will be unveiled at the January NAMM show (and available for pre-order) in Anaheim and should be in stores by Spring. The Andy Timmons Band will appear opening for Paul Gilbert and Racer X as part of the NAMM festivities. Good stuff indeed. I’m off to play…I’m inspired!! !